Senior lecturer for the only university diploma in Proctology. I was born in Pontarlier, in the Haut Doubs, in Franche-Comté.  I studied medecine in Besançon and I specialised in the proctology sector in Paris at Léopold bellan hospital. 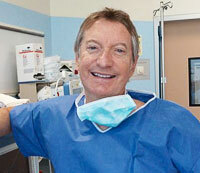 Gastroenterologist by training, I have been working now in medico-surgical proctology in Besançon since 1978. Our Pilot Center began in 1998 for new techniques concerning roctology surgery, and more particularly concerning all the stapling techniques. We work in collaboration with the Ethicon, Covidien and Frankenman Laboratories for the Longo and Starr techniques as well as for the technique that I have named semi closed hemorroidectomy by circular stapling. Now, I have extensive experience, with more than 9 000 medical interventions using the Milligan and Morgan technique, more than 4 000 using the Longo technique and around 900 using the Starr technique, indicated for static pelvic disorders for women. With this experience, and all these surgical operations, I had the idea in 2008, to create a personal technique dedicated to hemorrhoid surgery, with the intention of decreasing the major problems encountered using the Milligan and Morgan and the Longo techniques. It is a new, original and efficient technique, curing both haemorrhoid prolapsus and external haemorrhoids : I named this technique semi-closed hemorroidectomy by circuler stapling. Of course, I have taken part in various studies concerning all these different techniques dealing with proctological surgery, as a member of the Société Nationale Française de Colo-Proctologie and of the Société Nationale Française de Gastro-Entérologie. For several years, proctological surgery has been a center of excellence at the Polyclinique de Franche-Comté where I work. A lot of rankings found in news magazines show this. To date I realized more than 2400 procedures.